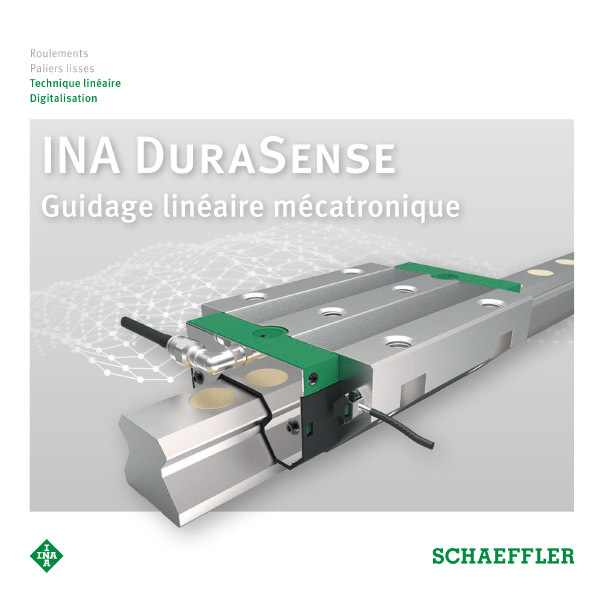 By means of sensors and a specific electronic evaluation system integrated in the carriage, linear recirculating roller bearing and guideway assembly INA DuraSense determines the condition of the lubricant and initiates automatic relubrication according to requirements. 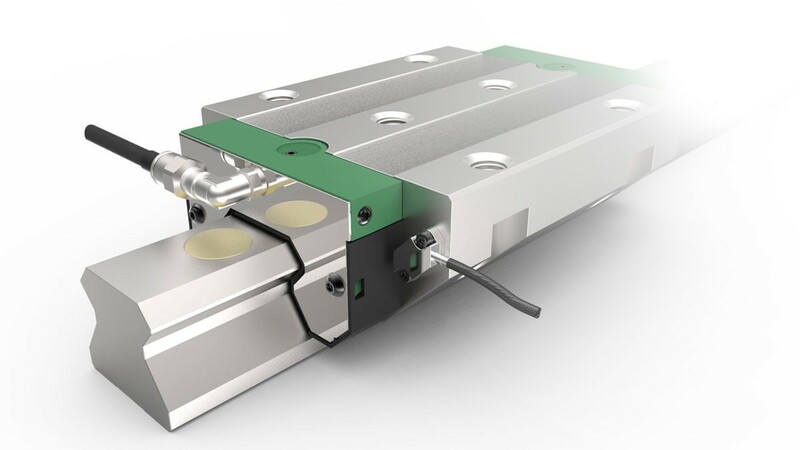 This allows the relubrication quantity to be adjusted based on the load, contamination, and ingress of cooling lubricant and reliably prevents unplanned downtimes caused by insufficient lubrication. 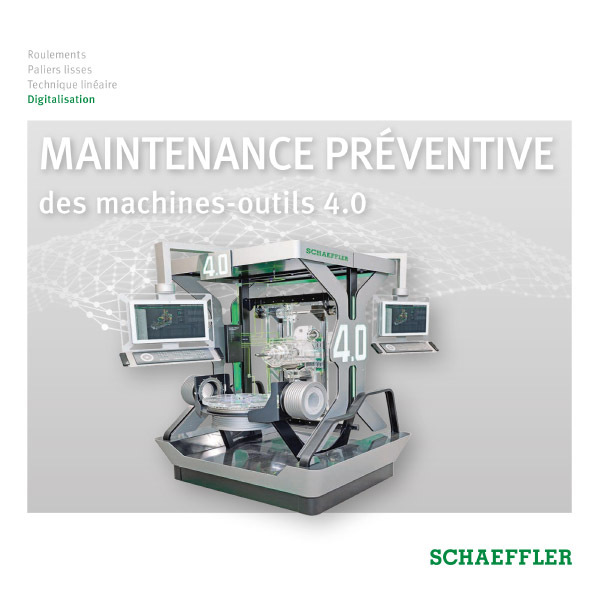 Machine service life is increased and a constantly high level of manufacturing quality is ensured. 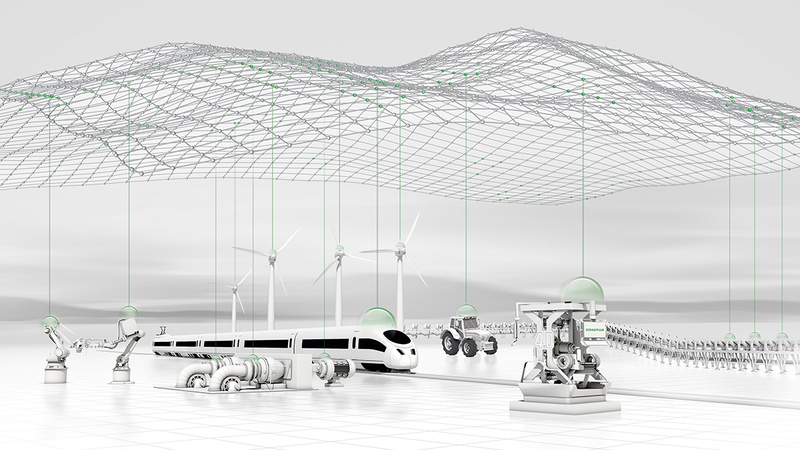 The LifetimeAnalyzer digital service allows the linear guidance systems remaining useful life to be calculated using the gathered data and maintenance schedules to be planned based on the condition.